Eurolab4HPC organized a RISC-V tutorial at the HiPEAC conference in Valencia. To this end, the Parallel Ultra Low Power (PULP) platform was introduced to a fully booked conference room. The entire PULP-project has been released as open source using the permissive SolderPad license and contains different platforms ranging from standalone single-core microcontrollers to more complex multi-cluster systems based on our own optimized implementation of the popular RISC-V processor cores. Frank K. Gürkaynak from PULP was excited to be there: "The HiPEAC conference allowed us to present our work on our RISC-V based open source Parallel Ultra Low Power (PULP) platform to a wide and diverse audience. 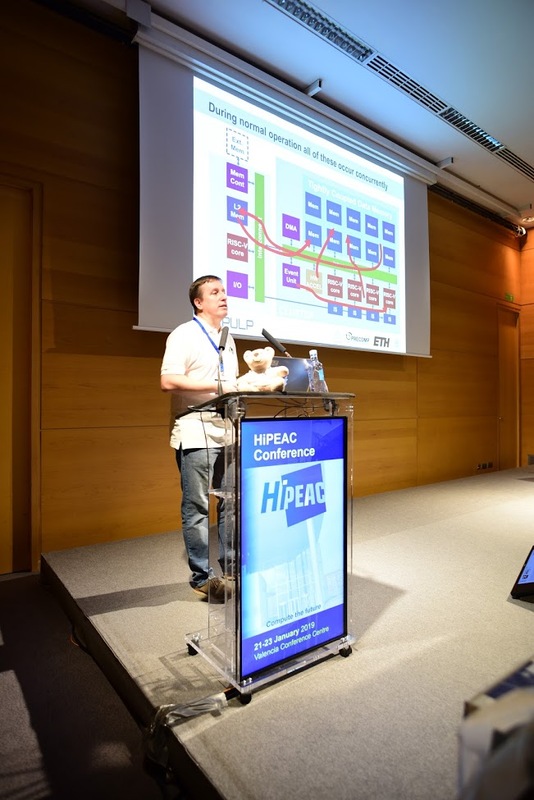 It was a lively event with good interaction from the audience, and most importantly allowed us to have discussions with attendees not only during the RISC-V tutorial itself but throughout the rest of the HiPEAC conference." The tutorial started with some background information on our RISC-V based PULP systems. The multi-core architectures have several special features (i.e. how to work with scratchpad memories), and it was interesting to hear why these were built. Tips on learning how to make best use of these features were very useful. Who says Open Source development does not pay? 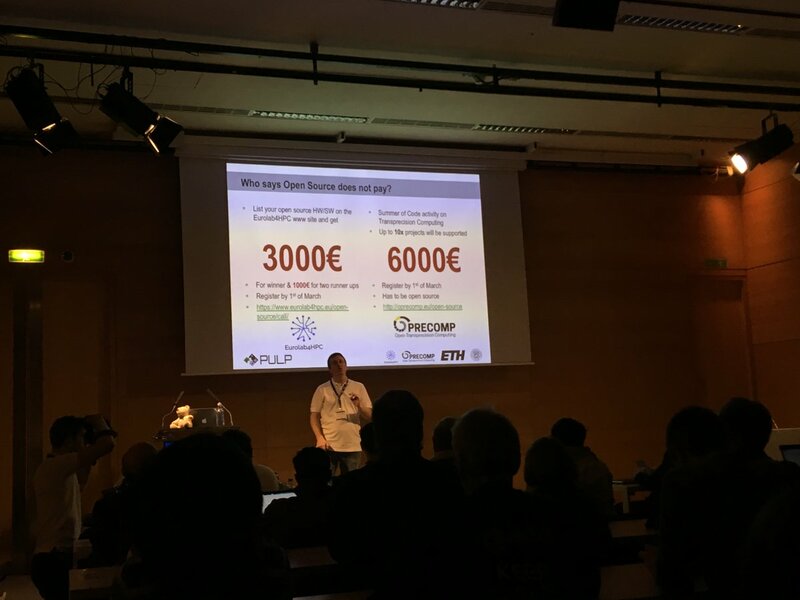 The PULP team reminded all attendees of the tutorial and the HiPEAC conference of some great opportunities to win money for your open source project, such as the Eurolab call for an Open Source Hardware project that can be used in High Performance Computing" . Eligible project owners that register until 1st of March 2019 will have a shot at winning cash prizes of €3000 (winner), 2 × €1000 (for two best runners-up) for excellence in open source hardware. In the second part there was a hands-on demonstration of the PULP SDK, showing how programs can be developed using the Open Heterogeneous Research Platform (HERO).